Gwyneth Paltrow turns up the heat on Martha Stewart rivalry by hiring Martha's former chief of operations. 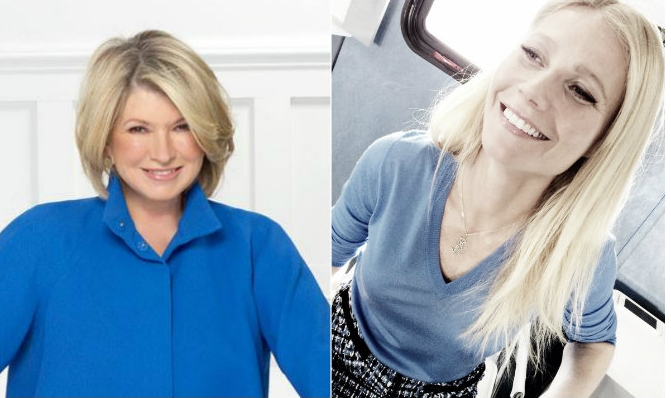 The rivalry between domestic diva Martha Stewart and Gwyneth Paltrow amped up Monday when the Oscar-winning actress hired Lisa Gersh to be the CEO of Goop, her fledgling lifestyle and e-commerce company. Gersh is the former chief of Martha Stewart Living Omnimedia, who exited in early 2013 after only a year on the job. Paltrow, 42, has been using the 6-year-old Goop to move slowly but steadily into Stewart’s sweet spot — that is, handing out advice on home, food and fashion. In fact, Goop, which Paltrow and Gersh prefer to present with a lowercase “g,” sometimes publishes recipes adapted from Stewart. Stewart, 73, has been curtly dismissive of Paltrow’s efforts to crack the personal lifestyle multimedia genre that Stewart has pioneered with books, magazines, Web properties and TV shows. In a recent interview, Stewart said Paltrow should pipe down and stick to acting. She can hire whoever she wants. but she will never be the next Martha Stewart, Martha be snatching this chicks wig in interviews, her skanking is like a surgeons steel, smooth like butter. chile you can't come for Martha's throne.